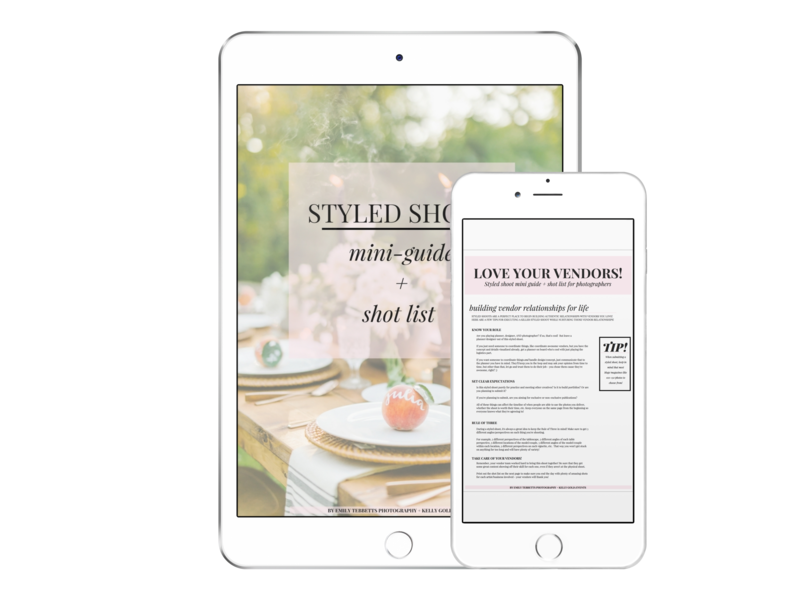 Sign up below to receive your copy of our Styled Shoot Mini-Guide + Shot List! Hey there! Emily Tebbetts here! I'm a Boston-based wedding photographer, business nerd, airbnb host, and self-love advocate, but wedding photography was my first love. I teamed up with Boston Wedding Planner Kelly Golia to create this beautiful, printable styled shoot mini-guide + shot list just for you! Get ready to walk away from your next styled shoot with magazine-worthy images and a vendor team who adores you! Scroll down and sign up below to receive your copy! Check your inbox for an email from me (Emily Tebbetts Photography!) with a link to the your Styled Shoot Mini-Guide + Shot List! Not seeing our email? Make sure you check your social/promotions folder, or any other filtered folders, then move us to the primary inbox!